Into the Unknown They were 31 men at the bottom of the world exploring uncharted territory. What followed was one of the most terrifying survival stories of all time. Mawson heard the faint whine of a dog behind him. It must be, he thought, one of the six huskies pulling the rear sledge. But then Mertz, who had been scouting ahead on skis all morning, stopped and turned in his tracks. Mawson saw his look of alarm. He turned and looked back. The featureless plateau of snow and ice stretched into the distance, marked only by the tracks Mawson’s sledge had left. Where was the other sledge? Mawson rushed on foot back along the tracks. Suddenly he came to the edge of a gaping hole in the surface, 11 feet wide. On the far side, two separate sledge tracks led up to the hole; on the near side, only one led away. It was December 14, 1912. Thirty years old, already a seasoned explorer, Douglas Mawson was the leader of the Australasian Antarctic Expedition (AAE), a 31-man team pursuing the most ambitious exploration yet of the southern continent. Let Scott and Amundsen race for the South Pole. Mawson was determined to discover everything he could about a 2,000-mile-long swath of Antarctica that was terra incognita, and to wring from it the best scientific results—in terms of geology, meteorology, magnetism, biology, atmospheric science, and glaciology—ever obtained on a polar journey. Having built a hut on the shore of a cove they named Commonwealth Bay, the men of the AAE had wintered over in what was later proven to be the windiest place on Earth (at least at sea level), with gusts up to 200 mph. At times, the gales were so strong they knocked the men off their feet and sent them sliding across the ice. Setting out in November 1912, Mawson’s sledging party was one of eight three-man teams sent off on journeys in all possible directions. For his own Far Eastern Party, he chose 29-year-old Swiss ski champion Xavier Mertz and 25-year-old Belgrave Ninnis, an eager, likeable Englishman serving in the Royal Fusiliers. Hoping to connect the unmapped interior with the heights of far-off Oates Land, discovered by Robert Falcon Scott’s party only the year before, Mawson was bent on making the deepest push of all into the unknown. By the morning of December 14, 35 days out, the trio had reached a point nearly 300 miles from the hut. The men had crossed two major glaciers and scores of hidden crevasses—deep fissures in the ice camouflaged by thin snowbridges. Just after noon that day, Mertz had held up his ski pole, signaling yet another crevasse. Mawson judged it to be only a minor nuisance, as his sledge glided smoothly across the bridge. He called out the usual warning to Ninnis, and, in a last glance back, saw that his teammate had corrected his path to cross the crevasse head-on rather than diagonally. Now Mawson and Mertz cut away the fragile lip of the open crevasse, roped up, and took turns leaning over the abyss. What they saw appalled them. One hundred fifty feet down, a husky lay moaning on a snow shelf, its back evidently broken. Another dog, apparently dead, lay beside it. A few pieces of gear lay scattered on the same shelf. There was no sign of Ninnis or the sledge. For three hours, Mawson and Mertz called into the depths, hoping against hope for an answering cry. They had far too little rope to lower themselves into the crevasse to search for their companion. At last they accepted the inevitable. Ninnis was dead. Gone with him were the team’s most valuable gear, including their three-man tent, the six best huskies, all the food for the dogs, and nearly all the men’s food. The two men might have perished the first night if they hadn’t improvised a shelter. With the temperature just above 0°F, they pitched a spare tent cover over a frame concocted of sledge runners and Mertz’s skis. Inside this gloomy cave, they laid their reindeer-skin sleeping bags directly on the snow. So cramped and flimsy was their “tent” that only one man could move at a time, and neither could rise higher than a sitting position. In the first days of their homeward dash, driven by adrenaline, they made excellent mileage. But during the next two weeks, the dogs gave out one by one. When George, then Johnson, then Mary could no longer pull, they were loaded on the sledge and carried to that night’s camp, where the men shot them with the rifle. Desperate to hoard their tiny supplies of pemmican, biscuits, raisins, and cocoa, the men ate the tough, stringy dog meat, then threw the bones and skin to the remaining huskies, which fought ravenously over every scrap. Navigating with a theodolite and dead reckoning, Mawson steered a homeward course as much as 25 miles south of their outward track, hoping to skirt the worst of the crevasses and the heads of the two big glaciers. He tried to bolster his partner’s spirits, promising him a safe return to Australia. At 1 a.m. on December 25, Mawson woke Mertz to wish him a merry Christmas. “I hope to live to share many merry Christmases with my friend Mawson,” Mertz wrote in his diary. By now, only Ginger, the pluckiest of the surviving dogs, could haul. The two men put on their chest-and-hip harnesses and pulled the sledge alongside her, exhausting themselves after only a few miles’ run. Crossing wind-carved ridges of hard snow known as sastrugi as high as three and a half feet, they repeatedly fell down and often capsized the sledge. To save weight, they threw away gear—their alpine rope, the rifle, the extra sledge runners, and, most painfully, Mawson’s camera and the film packs that held the visual record of the trio’s pioneering journey. Something was wrong with Mertz. He was rapidly losing strength. Too weak to move on January 2, he could manage only five miles the next day before giving up, forcing Mawson to pitch the tent. In disbelief that his fingers had been frostbitten, Mertz surprised Mawson by biting off the tip of one. Mawson knew that their only hope was to keep moving, but on January 5, Mertz refused. It would be suicide, he said. By January 7, the men had covered some 200 miles of their return trek, with 100 still to go. But as they tried to pack up that morning, Mawson discovered that his teammate had “fouled his pants.” As a nurse might tend a baby, Mawson undressed Mertz, cleaned up the mess, and put him back in his sleeping bag. That afternoon, he tried to lift Mertz to a sitting position to drink cocoa and weak beef broth, but the man started raving deliriously and again soiled himself. At 8 p.m., Mertz pulled himself half out of his sleeping bag and flailed about in a wild frenzy, breaking one of the tent poles. For hours he raved in German. Mawson held him down, hoping to calm him, then stuffed him back into his bag. At 2 a.m. on January 8, Mertz died in his sleep. Mawson buried his friend, still in the sleeping bag, beneath a mound of snow blocks atop which he fixed a rude cross made of discarded sledge runners. Many years later, some researchers speculated that Mertz’s debilitation was caused by poisonous overdoses of vitamin A from the huskies’ livers. But if so, why did the condition affect Mertz so much more drastically than it did Mawson? Other experts suggested that Mertz’s collapse was due simply to hypothermia, overexertion, and near starvation. Using only the serrated blade of his knife, he cut the sledge in half. Then he fashioned a makeshift sail by sewing Mertz’s jacket to a cloth bag. Three days after Mertz’s death, Mawson discovered to his horror that the soles of his feet had completely detached from the skin beneath them, which spurted pus and blood. He taped the dead soles to his feet, and put on six pairs of wool socks. Every step thereafter was an agony. Mawson was now in a race against time, as well as miles. The expedition’s relief shipAurora was scheduled to arrive at Commonwealth Bay on January 15 to pick up the men and steam toward home in Australia. But as the days ticked by, Mawson was still more than 80 miles from the hut, and he was growing weaker by the hour. One day, plowing through deep snow, he broke through a snowbridge covering a hidden crevasse. Suddenly he was falling unchecked through space. Then a fierce jolt halted his plunge. The 14-foot harness rope attaching him to the sledge had held, but now Mawson was sure that his weight would pull the sledge in on top of him. He thought, So this is the end. Miraculously, the sledge stuck fast in the deep snow, anchoring him. But as his eyes adjusted to the semidarkness, Mawson saw how hopeless his predicament was. He dangled free in space, the crevasse walls too far away to reach even with the wild swing of a boot. His first thought came as a searing regret that he had not had the chance to eat the last ounces of his food before he died. His only chance to escape was to pull himself hand over hand up the harness rope. Providentially, he had tied knots in the rope at regular intervals. He seized the first knot and pulled himself upward, then lunged for the next. Even for a fit, healthy man, such a feat would have been barely possible; yet Mawson pulled, rested, and lunged again. He reached the lip of the crevasse and tried to roll onto the surface above. The words spurred him to “one last tremendous effort.” As he reached the lip, he thrust his legs out first, then pulled the rest of his body free from the crevasse. He rolled over and passed out, waking an hour or two later to find his body covered with a dusting of new-fallen snow. Mawson was now convinced he had no chance to survive. Besides, the deadline to reach the hut had come and gone. For all he knew, the Aurora had steamed away with all the other AAE hands on board. What drove him onward was the hope of leaving his diary, along with Mertz’s, in a place where searchers might eventually find them and learn the story of the doomed Far Eastern Party. Yet on January 29 a minor miracle occurred. Just north of his track, Mawson saw something dark loom through the haze. It was a snow cairn covered with a black cloth. Inside, he found a message from three teammates who had been out searching and a bag of food—blessed food! From the note, Mawson learned that he stood only 28 miles from the hut. It would take him ten days to cover that short distance, as he waited out a prolonged blizzard. At last, on February 8, he began the last descent. Before he could see the hut, he caught sight of a distant speck on the horizon. As he feared, it was theAurora, leaving Commonwealth Bay for good. Was he alone? Then the hut sprang into view, and outside it, three men working at some task. Mawson stopped in his tracks and waved for 30 seconds. The men were too far away to hear his shouts. At last one of them glanced up and saw the apparition on the horizon. Mawson had missed catching the Aurora by a mere five hours. Instead, he and six men deputized to stay on to search for Mawson’s party were condemned to spend another year in the windiest place on Earth. Now the men at the hut rushed up the icy slope to embrace their leader. The first to arrive was Frank Bickerton, a stalwart 24-year-old British engineer who had been in charge of another of the exploring parties. From 50 yards off, Mawson recognized Bickerton. And from the startled look on Bickerton’s face as he beheld the gaunt, ravaged countenance of the man staggering toward him, he knew exactly what Bickerton was thinking: Which one are you? Another ten months passed before the Aurora returned. When Mawson finally reached Australia in February 1914, he was greeted as a national hero and knighted by King George V. He spent the rest of his career as a professor at the University of Adelaide. 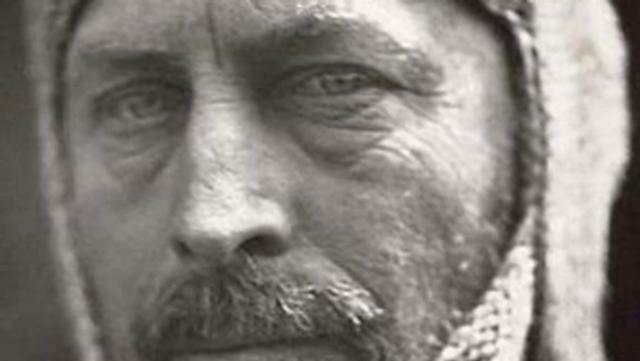 Although he would lead two more Antarctic expeditions, his life’s work became the production of 96 published reports that embodied the scientific results of the AAE. When Mawson died in 1958, all Australia mourned its greatest explorer.